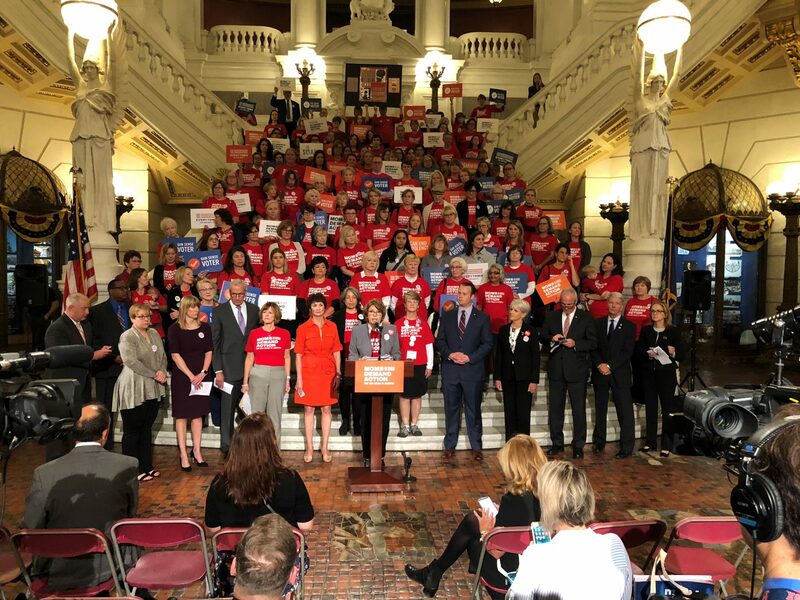 (Harrisburg) — Afer a rare win last legislative session, advocates to prevent gun violence in Pennsylvania are attempting to move the needle on the issue once again. They’re trying to pass a bill that would allow temporary restriction of guns when a person is a danger to themselves or others. Last year, a version made a little progress, but ultimately stalled. FILE PHOTO: Gov. 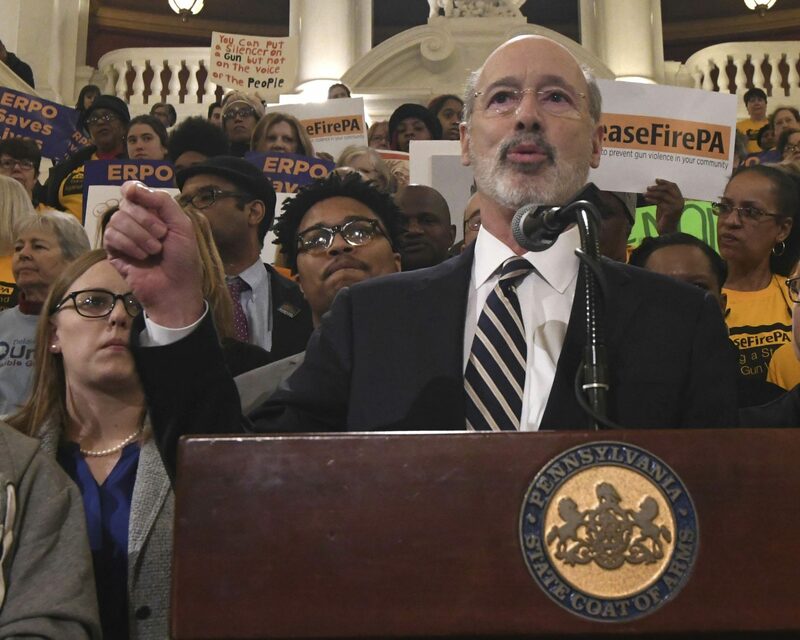 Tom Wolf speaks at a rally in the Pennsylvania Capitol’s rotunda calling for lawmakers to take action on anti-gun violence legislation on Tuesday, Jan. 29, 2019 in Harrisburg, Pa.